Carol and I slept until 7 am. Got up not really knowing what time it was. The jet lag left me feeling like I had a fog in my head……. Sorry for the delay around midnight Alaska time I just fell asleep. Our first was amazing! 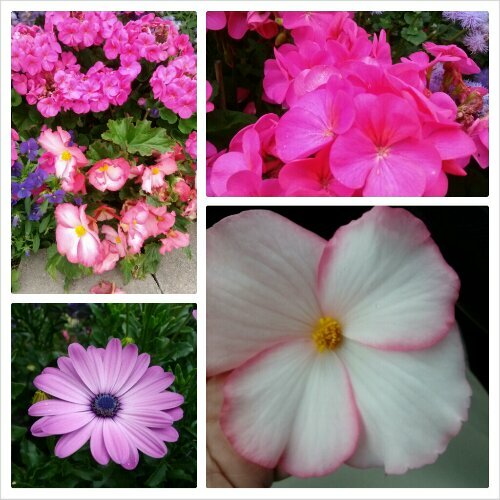 The flowers are just amazing. Brilliant colors and the size are unbelievable. Begonia blooms the size of my palm, 3 inches. The ruffled begonias as big as rose blooms. Petunias 3 1/2 to 4 inches. Carol and I met with the principal of Holy Rosary Academy, Anchorage . Miss Catherine Neumayr is such a delight to speak with her, it was such a pleasure to meet her someone face to face. Instead of email. 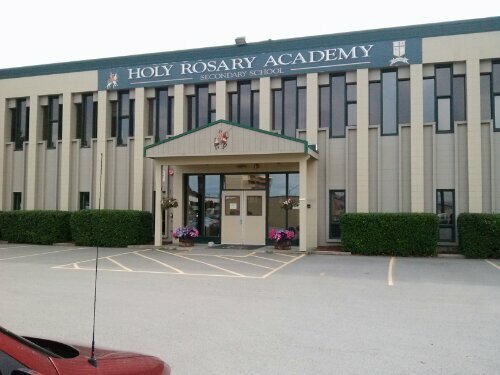 Holy Rosary Academyis a k-12 school with classical education. I was so impressed. At the end of the week Carol and I are giving a metal embossed icon workshop to the school community. More coming soon, Happy travels and Godbless you.